It seems like every time an automaker redesigns a truck, it ends up a few inches longer and a few thousand dollars more expensive. Sure, you can buy a midsize pickup if the full-size version is too big, but they’re not much smaller than full-size trucks were a few generations ago. But even though this trend has been driven by customers who will happily pay for more space and all the modern technology found in crossovers, not everyone wants a massive, high-tech pickup truck. 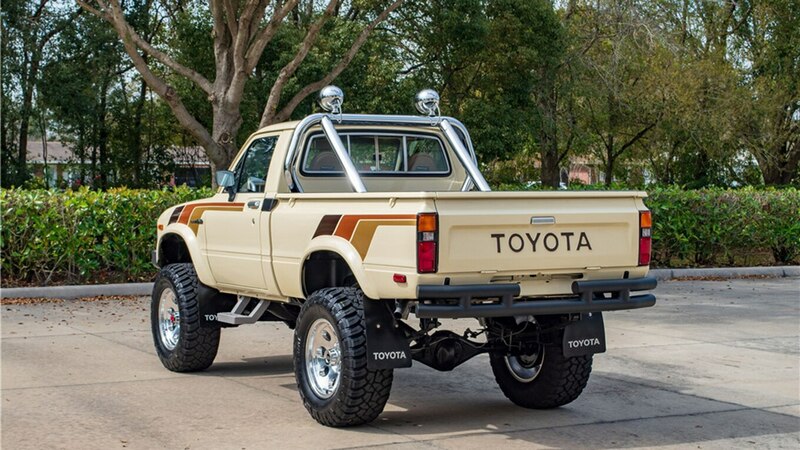 That’s why this 1983 Toyota SR5 caught our attention as we were scrolling through all the cars on the docket for Barrett-Jackson’s 2019 Palm Beach auction that kicks off next week. Even though it’s not black, it should still scratch that Back to the Future itch, and anyone who loves ’80s style will appreciate those stripes. 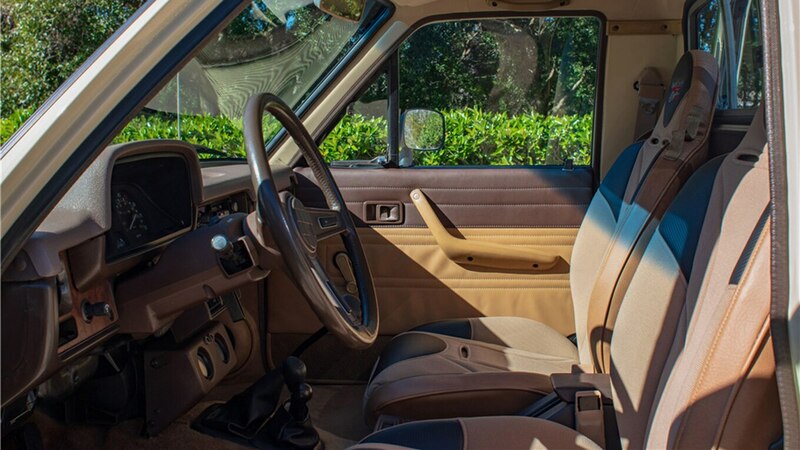 Plus, it’s small enough to park easily, and a radio is about the only technology you’ll find in the cabin. Modifications include a 2.5-inch lift, 1.5-inch shackles, Fox Racing shocks, and a Jeepeater underdrive. 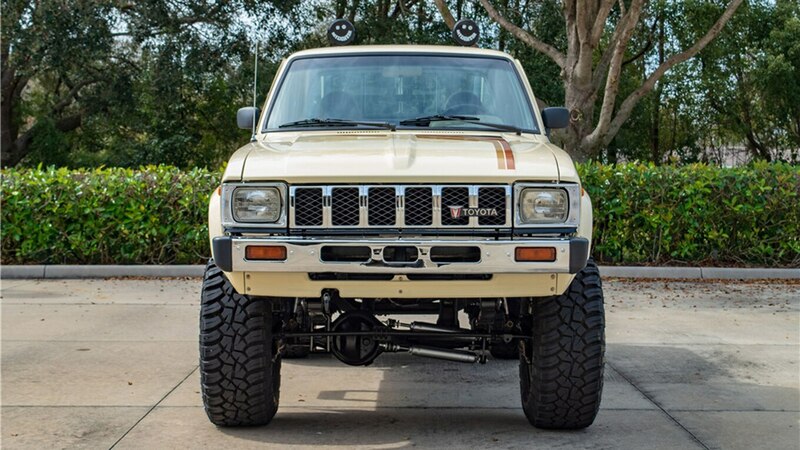 It also comes with stainless steel brake lines, 5.29 Richmond gears, a TRD limited-slip differential, and 17-inch wheels wrapped in 33-inch tires. Inside, you get upgraded seats and seat belts, custom kick panels, and a RetroSound stereo. 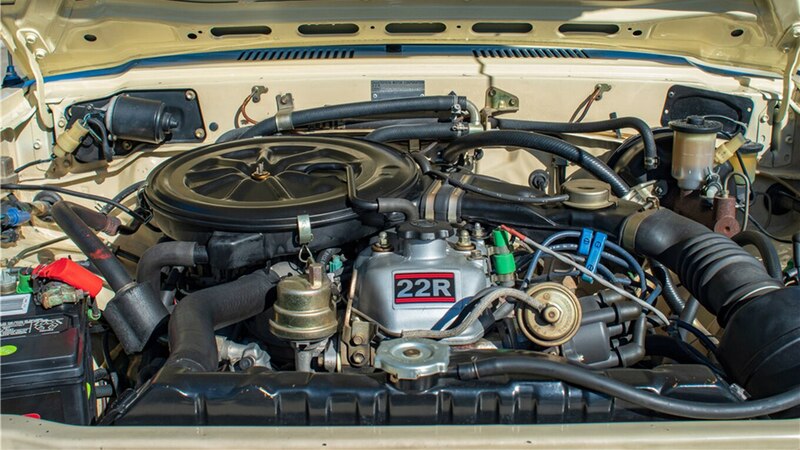 Under the hood, though, it appears that things have been left relatively stock, which means the 2.4-liter I-4’s power is sent to the wheels via a good old-fashioned manual transmission. This lifted SR5 certainly won’t be everyone’s cup of tea, but if you’ve been longing for something smaller than what you can buy today, you’ve got to admit this thing is pretty rad. 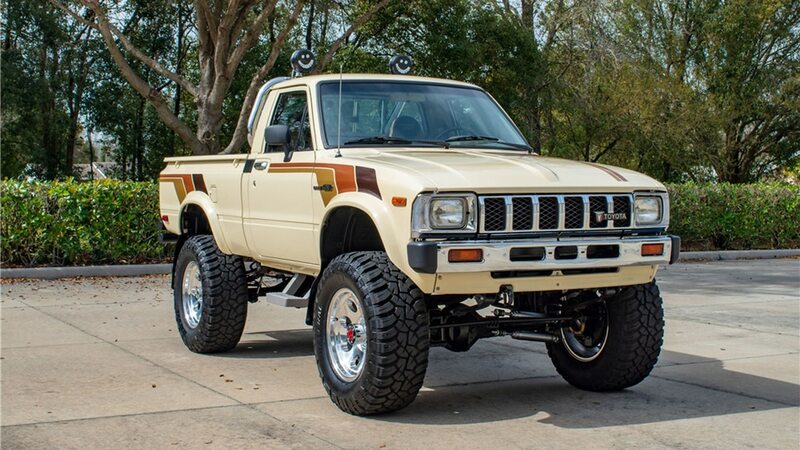 Interestingly, this truck was sold just last year at Barrett-Jackson’s Las Vegas auction. If the last hammer price is any indication, you’d better bring plenty of cash. This Toyota went for $55,000 USD in November.